Doorly has cemented himself as a firm Toolroom favourite over the past couple of years with some big releases such as ‘Ladies Night’, ‘Thunder Clap', his remix of Harry Romero’s classic ‘Tania’ and the chart topping ‘I Want You To Dance’ which became a huge hit in the Beatport charts. With this in mind, Toolroom Records now present his ‘Thang’ EP. 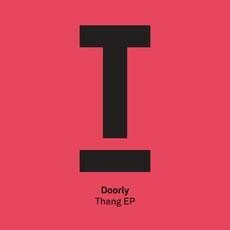 'Thang' is trademark Doorly, with a classic disco sample layered over the top of a tough and funky tech groove whilst 'Lustfahrt' provides the perfect contrast with pure underground DC-10 vibes, displaying two sides to Doorly’s production skills.